It’s starting to get cold outside and perhaps you’ve decided that it’s time to bring warmth into your home with a fireplace. With modern fireplaces, there are significantly more options pertaining to where you want to physically install your fireplace. You may be thinking, well isn’t it obvious? I’ll have to tuck it away in the corner of my living room? Well, not necessarily. You know that you need to install the fireplace in an area where it will most effectively heat the home. However, with the multitude of different types of modern fireplaces, the options for where you install your fireplace are plentiful (read all about the fireplace value). There are three primary types of fireplaces: the traditional wood fireplace, the gas fireplace, and the isopropyl or ethanol fireplace. Before choosing the type of fireplace you’re going to use, you need to think about the area of the house that you’d like to heat, the type of house that you live in and the amount of heat that you’d like your fireplace to emit. 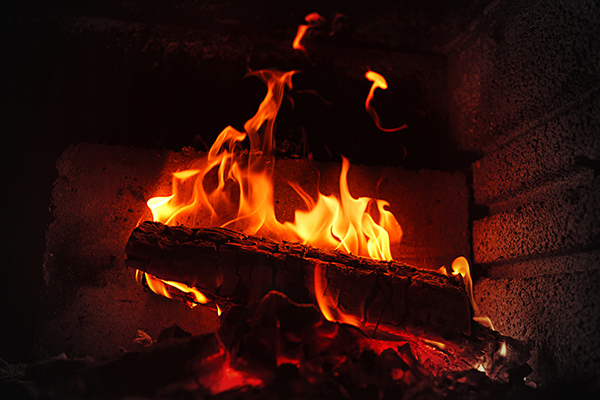 Traditional wood fireplaces, as well as gas fireplaces, typically emit the most heat. However, those types of fireplaces also emit gases that you’re going to need to vent out of the home. If you live in a one story house, you still have plenty of flexibility regarding the positioning of your fireplace. However, if you live in a two-story house, you need to consider where the flue is going to go to vent out the toxins emitted by the fire. Isopropyl or ethanol fireplaces don’t emit any toxins and therefore, they don’t need to be vented. This gives a bit more flexibility regarding the positioning of the fireplace, however, isopropyl fireplaces don’t emit as much heat as the traditional wood fireplace or gas fireplace. So if you’re looking to create a significant amount of heat, this might not be the optimal option. Another thing to consider before deciding where you’re going to place your fireplace is where you actually need the heating. Interior decorating and aesthetics are important, but functionality is also important. If you’ve already got a heater in one room, it might not make sense to compound that heating unit with a fireplace. This is particularly true if another area of your house is particularly chilly. If you’d like to heat both sides of a room equally, then it might make sense to install your fireplace in the wall that divides your room. Using a fireplace as a room divider is not only functional but aesthetically it adds a very chic modern look to your home. Do you have a tiled kitchen that tends to get chilly in the winter? Have you considered placing a fireplace in your kitchen to warm things up? If you enjoy having company over or having meals in the kitchen as a family, then putting a fireplace in your kitchen is certainly something to consider. Fireplaces, bring warmth, not only in a physical sense but also in an emotional sense and so using a fireplace to bring a sense of warmth and togetherness makes a lot of sense for people who don’t eat alone. Home offices tend to be so cold and secluded. Of course, you don’t want to be too comfortable and cozy while you’re working, but that doesn’t mean that you can’t liven up your work-space with a nice warm fire. You may even find that allowing a fireplace in your office space allows you to actually want to be in the office more and thus, allows you to get even more work done. Traditionally, fireplaces tend to add ambiance to a room. If you find that your bedroom is dark and boring then maybe you’d find it beneficial to lighten up the mood a bit with a fireplace. A fireplace is a great way to make your bedroom a much more inviting environment. If you’d like to spend more time with family outside, or if you enjoy having company over but you’d prefer the outdoors, then having a fireplace is excellent to create a warm environment for family and friends to gather round and tell stories. If you live in a colder environment and don’t find yourself outside much, an outdoor fireplace could still be a great way to create a beautiful picture of the night sky being lit by your outdoor fireplace. If you’re finding that there just isn’t any space on the walls in your home and you don’t like the idea of having an outdoor fireplace, then you should consider a hanging fireplace. Manufacturers can create fireplaces that literally hang from your ceiling. Not only does the hanging fireplace give your home an incredibly unique and chic aesthetic, but hanging fireplaces are also remarkably functional. Most hanging fireplaces give you the option of rotating the fireplace so you can heat whichever area of your house is cold. Whether you’re a more conventional person who wants to maintain a more traditional aesthetic in your house, or you’re a person who likes to test the boundaries of mundane conventionality, understand that with modern technology, the options you have regarding the positioning and placement of your fireplace are plentiful. Early Times has you covered when it comes to fireplaces. 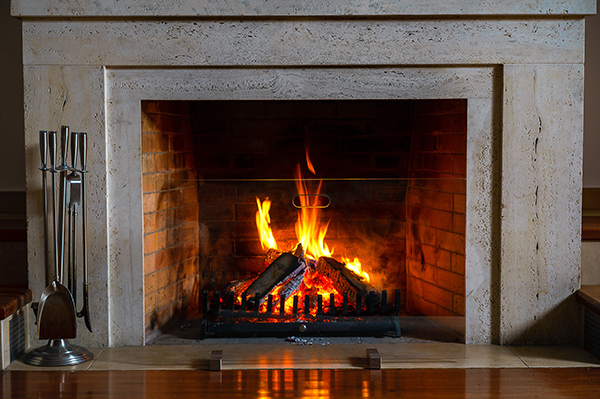 From gas log to ventless fireplaces, we have just what you’re looking for. Early Times has been serving the Chicagoland area for 30 years. Our experts will guide you throughout the entire process of installing a fireplace to ensure your project is done properly and that you’re satisfied with the end result. Start your fireplace project today and get a free quote now.